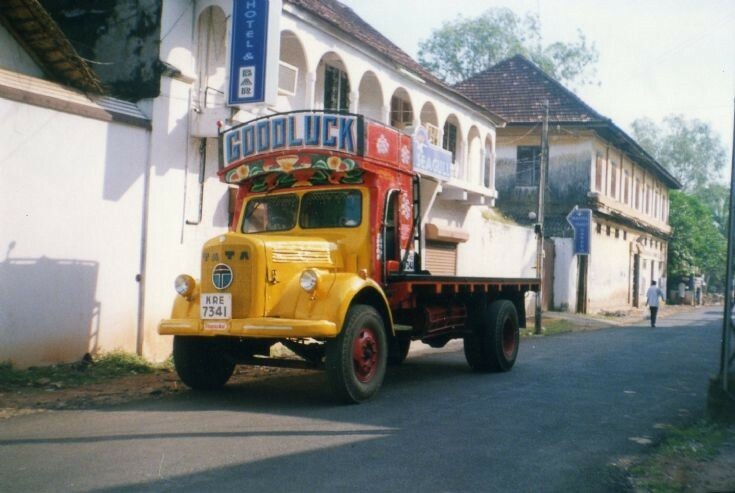 I took this picture of a TATA Truck 1210 E model at Fort Cochin in Kerala in the year 2000. It has a typical Kerala body style and as all trucks in Kerala,''India'' it has no doors! It is probably an early 70's model but looks in very good condition. Love this photo. Looks almost 1940s in style. Added by Fazer9553 on 27 February 2013. Added by Arun Raj Kaprakattu on 26 August 2016. Added by Arun on 10 June 2018.